This generous family residence boasts sweeping spaces and modern luxuries including a theatre room, in-ground pool, and tennis court. For sale by James Goulopoulos and Alex Birckel of Jellis Craig Ivanhoe. Unfolding in grandeur and space, this grand family home backs onto the protected green space of Tindals Wildflower Reserve in Warrandyte, Victoria. The multi-level home enjoys welcoming formal rooms as well as places to gather for meals and relaxation, including a theatre room with kitchenette tucked away downstairs for family nights in. 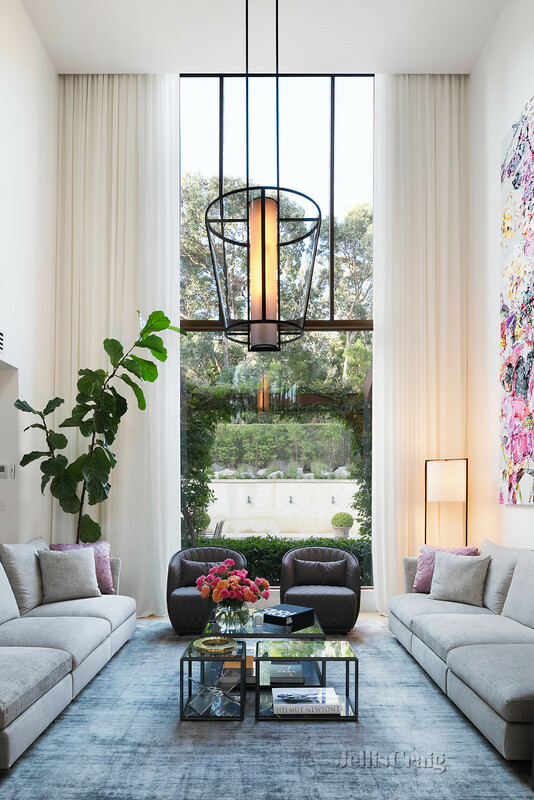 The entry foyer, set with eye-catching herringbone floors, leads into a formal dining room and adjoining living room with poolside views and a towering ceiling and showpiece pendant light. A guest bedroom with a modern travertine bathroom is also conveniently located on the ground floor. Featuring Calacutta marble and a fully-equipped butler's pantry, the designer chef’s kitchen overlooks the family room and dining area, leading to a large fireside rumpus room. A sweeping staircase leads up to the master haven, revealing a sitting room, his-and-hers dressing rooms and a hotel-style ensuite. A large study and two further robed bedrooms share the luxe main bathroom. Outdoor living centres around the pool/spa, paved alfresco area, and floodlit tennis court, surrounded by established gardens. Located in a peaceful court setting, the property is close to bus services, quality schools, Goldfields Plaza and the vibrant hub of Warrandyte Village. See more of 2 Wildflower Court Warrandyte VIC 3113, including additional photos, floorplan, and location map, on Luxury List. To arrange a private inspection or enquire about a price guide phone or email James Goulopoulos of Jellis Craig Ivanhoe or Alex Birckel of Jellis Craig Ivanhoe via these links.